What is the first thing that comes to your mind when you think about the most expensive buses? It wouldn’t be surprising if you went in the direction of leather seats, comfort, luxury, a dining room, TV room and a number of other seemingly rich elements! 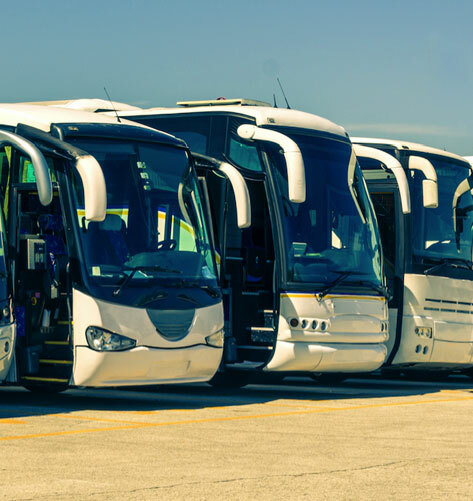 One would think the most expensive buses are everything we’ve just described but it turns out – there is so much more you can get. How about a parking spot for your Aston Martin inside the under-luggage compartment? Yes! The Vantarre Platinum Plus costs around 2.5 million dollars and offers a spacious and ultra-luxurious bus that has king size beds (yes, plural) and a plasma TV for the price. State of the art technology, gorgeously done interior and of course a massive liquor cabinet. The Prince Sultan Bin Fahds bus was designed specifically for a prince (just as the name suggests) and is super luxurious bus that includes an enormous lounge and a royal suite as well as a bedroom with luxurious beds and seating options. How delightful! The Volkner Mobile performance bus is priced the modest 1.78 million; it has spectacular sleeping and living areas, a garage for your car, and it comes with a few plasma TVs and entertainment units. The Country Coach Prevost with a price of $1,000,000, isn’t intended for bumpy terrains or venturous use. It’s ideal for people who wish to enjoy high class traveling between cities. This elegant vehicle is equipped with porcelain-tiled floors and cedar wood cabinets and walls. There is an entertainment system and elegant bedroom lined with noble quartz. There are also separate bathrooms for travelling comfort. The Foretravel IH-45 is an expensive luxury bus with unique, custom-made design. It is equipped with many luxury components that distinguish it from the competition, including a 20,000 kilowatt generator, four roof A/C sections, a Knoedler seat and a steel fabricated walls and floor. Among others of the most expensive buses in the world are The Monaco dynasty 45p, Newmar King Aire, Entegra Coach Cornerstone 45DLQ and Prevost H3-45 vip. So, if you have a couple of million dollars lying around and you want a luxury bus with bedroom a walk-in kitchen, and such details, one of these might be the choice for you.